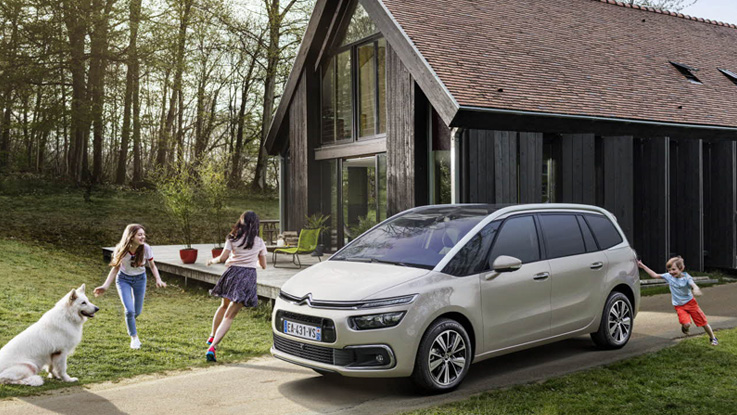 The state of the art C4 Picasso sports a revised front-end design for 2017. Other changes include new 17-inch alloy wheels, 3D-effect tail-lights and a revised colour palette. Inside, a new 7.0-inch touchscreen infotainment system is available with Apple CarPlay, Android Auto and MirrorLink compatibility. There’s also a hands-free tailgate, active blind-spot monitoring, and an adaptive cruise control system that can bring the car to a complete stop.